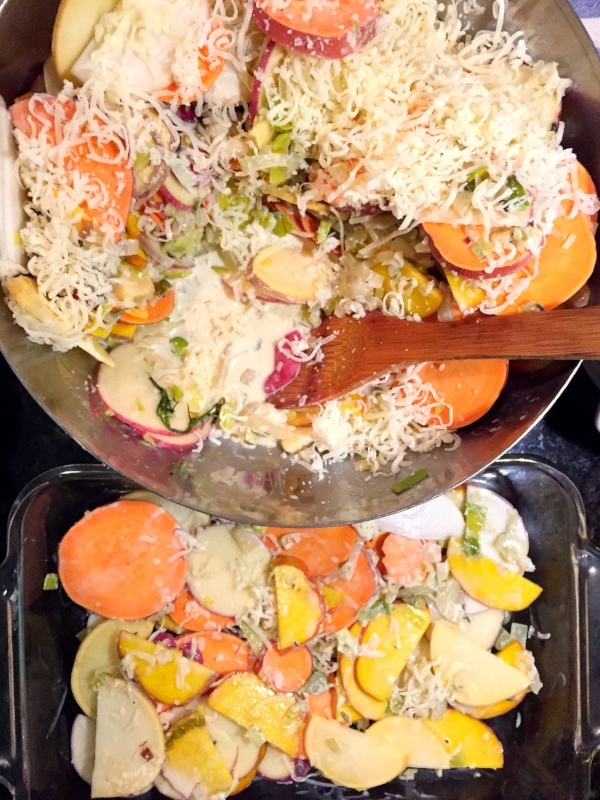 I first put this Root Veggie Gratin together for our Thanksgiving dinner; I was in search of something more fun and nutrient-dense than a basic mashed potato. I've been tweaking the recipe a bit since then and think I've found the perfect balance! This recipe makes a fairly large batch... but I actually like it a lot better the second and third day, reheated in the oven. And for all of you starting your Sugarfreed 14 days soon, YES it's an approved recipe!